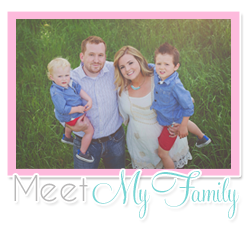 The month I found out I was pregnant with Hudson I started my blog. I didn't have a goal or really any idea that I'd have a blog one day that people other than my grandma wanted to read... I just wanted to be able to share pictures of my pregnancy and news of what was happening in one place for all of my family and friends that I didn't see regularly. 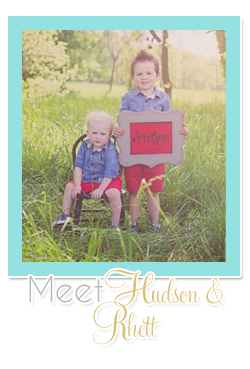 I honestly didn't even have a name for my blog when I first started.... Then when we had Hudson I thought "You and Me Plus Hudson is Three" was cute... so we went that route until we had Rhett... and it was kind of awkward... so I just added a little tag line that said "And Rhett Makes Four"... at that point I had all of 70 people reading each of my posts so I really wasn't too concerned about it. After my Mother-In-Law Janet got sick and started blogging, my readership increased and after she passed, it exploded. And my blog name no longer fit. I needed something more sophisticated. I was in a season of sadness and trying to figure out what life was going to look like without her and I landed on "Choosing Joy" because I really feel like in life JOY is something that we choose and I find myself choosing it every day. Of course when I went to buy my domain the one I wanted to taken. I wish I would have known about Name.Kitchen then. With Name.Kitchen the choices are seriously endless. I would have landed on something like choosingjoy.life or choosingjoy.coach and with Name.Kitchen you can choose cute and unique domain names just like that! When choosing a domain name I'd choose something catchy and meaningful. I think that makes you stand out! 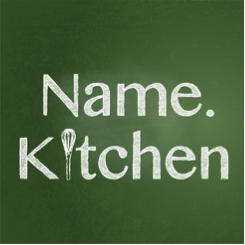 Name.Kitchen helps you do JUST that. After 30 years of stagnancy on the Internet, there is an amazing new world of choice in naming on the Internet. In a rollout that began in late 2013, hundreds of new domain endings — words to the right of that second dot — are now available for use when crafting the URL for your website. In terms of availability, most people have had the frustrating experience of not being able to secure the.com of your choice or having to create a ridiculously long and hyphenated name. As these “not com” choices are new, the very best names are still available to be registered. And finally we all know that better names are more memorable names.